Announced in October 2008 and shipped in November, the MacBook Air (Late 2008) was no faster than its predecessor, in terms of processor speed. It gained performance, however, from a faster 1066 MHz bus, a larger 6 MB on-chip L2 cache, and a faster graphics chipset. In addition, the micro-DVI port was replaced with the new Mini DisplayPort, which was capable of driving a larger external display (2560x1600). The MacBook Air (Late 2008) shipped in two configurations: 1.6 GHz/2GB RAM/120 GB HD/$1799 and 1.86 GHz/2 GB RAM/128 GB solid-state/$2499. 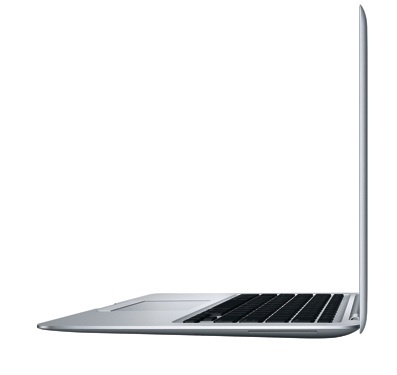 Both models were replaced in June 2009 by the MacBook Air (Mid 2009).